This is a site for a talented photographer, whose experiences as a professional chef have informed his work. He was recently featured in the Parhelion online literary magazine. We wanted to keep the design very clean and optimized to show his work effectively on many different types of screens. 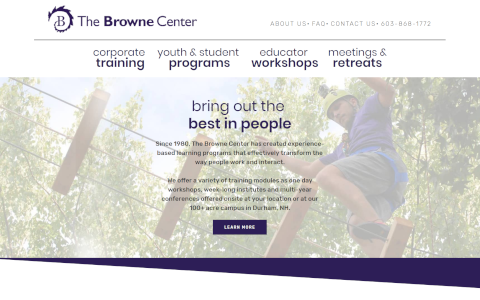 The experiential learning part of the University of New Hampshire was looking for a fresh design that gave a sense of their innovative programs. There are large photos of their activities and facilities, descriptions of the programs, and some fun diagonal aspects to their design that aren’t seen on average websites. 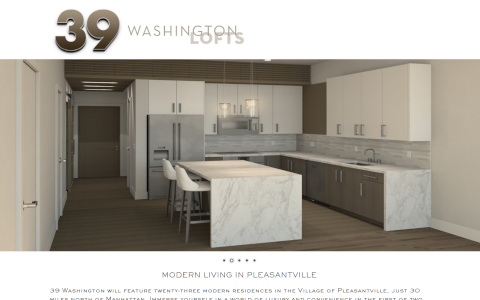 This site is a homepage for real estate developers who are offering luxury lofts in Westchester County, north of New York City. The clean design and photos give a sense of the lofts as well as the neighborhood they are in. It provides a detailed contact form, and is ready to expand with more features as additional new properties become available.